Sarah Watkins has the size, build, skills and range to be an impact player. Sarah Watkins, a 6-3 Forward with the Memphis Elite Platinum 91 and University of Arkansas commitment, has the size, build, skills and range to be an impact player. In other words, ranked number 82 in the ESPN HoopGurlz Top 100, she has it all. What sets her apart from other skilled players is her ability to create her own looks. With and without the ball she's active and forces defensive adjustments. She can work in the paint as well as knock down perimeter shots. She scored well in Memphis on very limited playing time and will have an even greater impact when she's on the floor longer. Adrienne Pratcher, the 5-7 point guard for the MSA Bobcats Gold, has that good quickness and strength that seems to be in demand these days. Utilizing a good first step she gets by defenders again and again and creates a lot of scoring opportunities for herself and her Bobcat teammates. She can get to the rim and finish, but she also has a solid pull up. She'll have to give it up more at the next level with the size of the help that will rotate her way, but it shouldn't be a problem as she already threads the needle with some pretty solid passing. For final results of 14U National Championship click here. According to ESPN HoopGurlz, Bartlett High's, Jasmine James, ranking in the ESPN HoopGurlz hundred should climb from 57 to even higher. Jasmine James, a 5-7 guard out of Bartlett, Tenn., is part of the Tennessee Flight glut of talent. Athletic and explosive, she has all the tools to take over a game. 57th in the ESPN HoopGurlz Hundred, James can and should climb the list before July comes to an end. If she can find the consistency to play at her best on every possession, there are going to be a lot of sleepless nights for her defenders in the future. Her four 3 pointers against the Georgia Metros to open the second half in the tournament's semi-final were back breakers. That range and touch should force defenders to close out and that can only lead to a lot of smiles as James drives by on her way to the hole. Memphis represented at the Tournament of Champions this week. Memphis Elite 14U finished 7th. For Championship bracket, click here. It's been nearly three years since a Memphis-area girls basketball standout publicly committed to the University of Memphis. 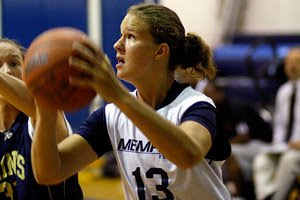 One would have to go back to the summer of 2005, when former Munford High star Jasmine Brown committed to the Lady Tigers, to find the last. But Millington High senior forward Ashley Robinson said Wednesday she's ready to buck the trend. Team Memphis Elite 9u finish 7th in 2008 AAU National Championship. Check out She Got Game weekly for all your AAU & Prep Girls Basketball news and information. 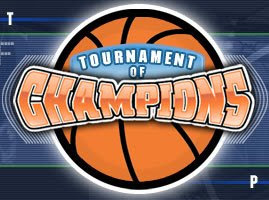 This weekend, July 13-15, 2005, Memphis will have 3 teams, Memphis Select, Team Memphis Elite and Tennessee Glory, representing in the 15U Division of the Tournament of Champions held in Georgia. You can follow the teams performance here.